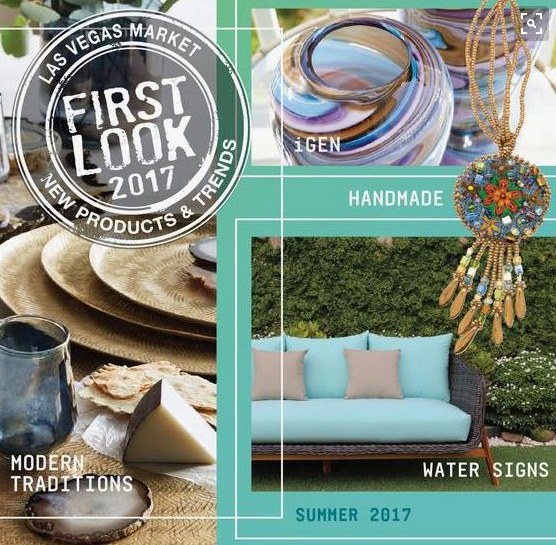 When we arrived at Las Vegas Market, they were handing out a smaller pamphlet called "First Look". 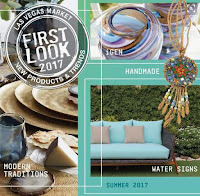 This booklet clearly showed off Las Vegas Market staff designer's favorites and products they felt best illustrated current trends. Dunitz & Company made the cover! We were completely stoked when we discovered this. Have a store? We ship these Denim Frida Necklaces in several colors. This season we've even introduced a more Monochromatic version. 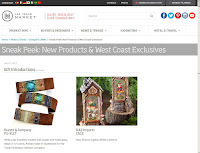 Las Vegas Market is great about email blasts and posting on their website. Our new Joanie M Wide Suede and Glass Snap Cuffs also were mentioned on their website. These fair trade bracelets are already a new favorite in our collection. 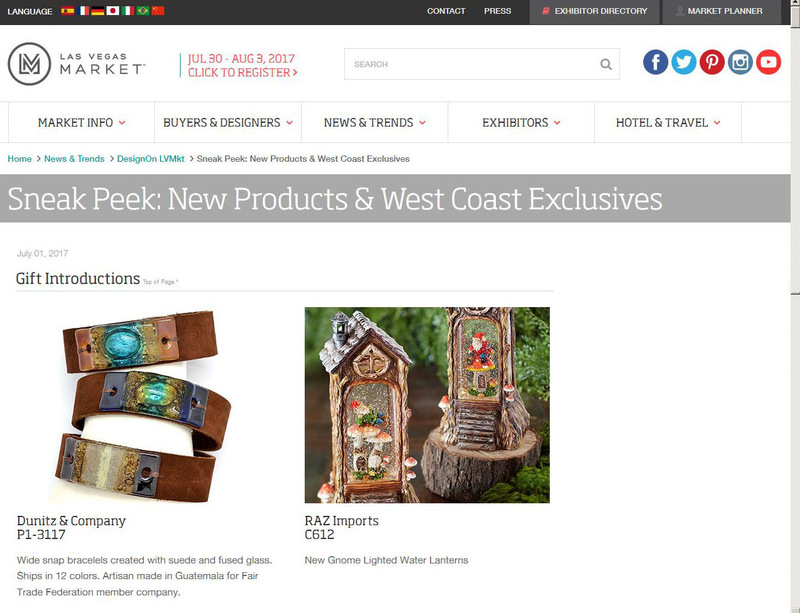 California Marketplace (once known as the Los Angeles Gift Show) also produces a show preview each season. 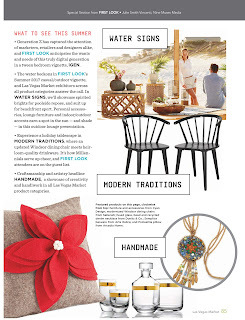 Available both in print and online, Dunitz & Company was featured twice this summer. What a coup! At least we thought so. 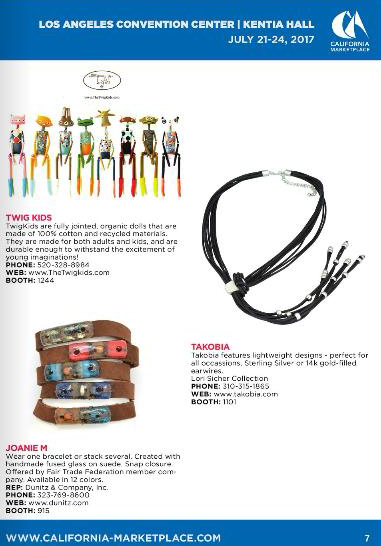 To the right, you can see our Joanie M fused glass fair trade bracelets. We call these our Skinny Suede & Glass Bracelets. Are you a retailer that sells our line? Follow the link and order some for your shop! And if you're not a current customer of ours, now might be the perfect time to jump on board. 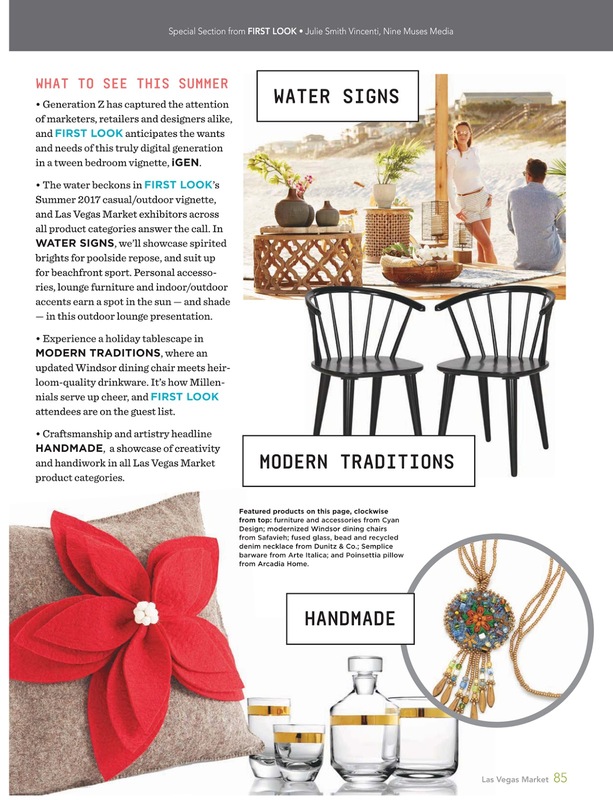 On another page of the California Marketplace preview our Embroidered Slap Cuffs were pictured. Yup, slap 'em on, if you must. And they will fit anyone. No clasp needed. We've been lucky to have received lots and lots of visibility in 'trade show press' over the years. Tonight we're flying to New York to set up our NY Now booth for the upcoming market. 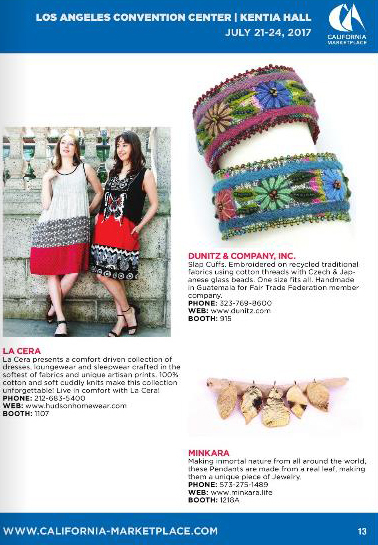 Perhaps we'll be surprised and find some Dunitz fair trade jewelry in their press pages. Sure hope so!